This 3 part weekly series provides an overview of the due diligence process: the different types of due diligence, why it is important, the reasons it is often done badly, and how to do it well. LoyarBurokker Marcus regularly contributes to The Edge Malaysia, where this series was previously published. For entrepreneurs, ignorance is not bliss. It’s fatal. It’s costly. And it’s for losers. The due diligence process is something that is familiar to anyone who has been involved in a major business transaction. However, there is no official or standard legal definition of “due diligence.” Viewed in its most common context – the acquisition of a business – “due diligence” can be boiled down to a structured enquiry process carried out by a purchaser to ensure that his information on what he is buying is accurate. Of course, due diligence is not just confined to mergers and acquisitions. It is widely used in the context of joint ventures, investments by venture capitalists and decisions to expand businesses. It also plays an important, indeed mandatory, role in capital market proposals. For the longest time, despite heavy criminal and civil liabilities for the submission of inadequate, inaccurate, misleading or untimely information, Malaysian securities law did not provide a clear guide to what constitutes an acceptable due diligence process. Instead, the Securities Commission (SC) deferred to the market to determine the scope and process of due diligence. In early 2008, the SC issued its guidelines on due diligence conduct for corporate proposals. These guidelines were issued following the Capital Markets and Services Act 2007 (CMSA), and in response to the perceived need to ensure optimal investor protection in light of increased liberalisation in the regulation of the capital market. The SC also felt a need to clearly communicate its expectations to the market following the development in the market of differing standards of due diligence. This column, in a three-part series, will provide an overview of the due diligence process: the different types of due diligence, why it is important, the reasons it is often done badly, and how to do it well. Legal due diligence not only covers the acquisition target, but also the documentation involved in the transaction. Some of the focus points would be the corporate information, existing contracts, real property, litigation, employment issues, intellectual property and compliance with laws. It is important to engage the services of a lawyer who is experienced in conducting due diligence, as the legal adviser usually drives the entire process, not just the legal portion. Financial due diligence is obviously an important part of any acquisition. It involves the engagement of a financial adviser to evaluate the company’s financial health via a review of financial statements, balance sheets, bad debts and income tax returns. A complete financial due diligence would also include an analysis of the market, competitors and the production of profit forecasts. The results of the financial due diligence may have an impact on the pricing of the deal. Commercial due diligence often takes lowest priority compared to legal and financial due diligence. However, it is arguable that this due diligence is as important – if not more so – than the others. It is far more subjective than the cold analysis of legal and financial data; going beyond the transaction itself to the post-transaction well-being of the company. Properly done, it is a complex mix of customers, sales, markets, competitiveness, projections, and also overlaps with legal and financial due diligence. In relation to corporate proposals to be submitted to the SC, the importance of due diligence is obvious. The Malaysian regulatory framework sets high standards of disclosure, due diligence and accountability from all parties involved in the preparation and submission of corporate proposals. The CMSA imposes both criminal and civil liabilities on the parties. Crucially, a well-structured and coordinated effort from the due diligence working group can prove to be the most valuable defence in the event of any contravention of the CMSA. The CMSA provides a defence from prosecution if it can be proved that the defendant made inquiries that were reasonable in the circumstances and had reasonable grounds to believe that the CMSA was not contravened. For transactions in general, the basic benefit of due diligence is that it allows a prospective purchaser to gather more information about the target. This immediately places the purchaser in a position to make a better, more informed, and ultimately more profitable decision on the transaction, including potentially increased bargaining-power when negotiating the price. The information gained can also be used to negate or reduce inherent transactional risks. Businesses which are successful in the long term are often those which embrace due diligence, and are willing to stump up the short-term costs for much more valuable long-term benefits. The traditional insouciance of caveat emptor (buyer beware) when entering into deals should be replaced by the pragmatism of a thorough legal, financial and commercial due diligence. Information is power. Ignorance is fatal. Since due diligence is such an important part of business transactions, and is accepted as conferring numerous benefits, one would expect that a proper due diligence exercise would be the norm for most companies. However, in reality, due diligence is often an afterthought. The high percentages of failed acquisitions, or of business deals that disappoint post-completion are a testimony to this. A simple analysis of these failures shows that at least some of them could have been averted with proper due diligence. It is not a priority. In many transactions, sometimes the company has already decided, from a business sense, to go ahead with the deal. A due diligence exercise is conducted merely for the sake of proper procedure (to appease shareholders or the public) or because it is mandatory (required by law). Companies which approach due diligence in this manner often choose their advisers on the basis of who is the cheapest, as opposed to who can conduct the most meaningful review, and the due diligence findings are given a cursory glance before being filed away. It is rushed through. Professional advisers more or less expect to be told that a due diligence has to be a rushed job. This is because companies would only be willing to commit to the cost involved in engaging professional advisers when a transaction is a virtual certainty. This is understandable and perhaps inevitable, as most companies do not have the ability of conducting proper due diligence at the exploratory stage of a deal. Companies can partially overcome this impediment by doing some preliminary due diligence on their own prior to engaging the advisers. Companies take a short-term view. Due diligence is sometimes approached from a position of risk-avoidance – ensuring that nothing is wrong. By nature, lawyers take a very cautious position on every issue, and insist on maximum protection from even the most remote risks. Accountants also take the same approach, recording possible losses and acknowledging only guaranteed profits. This is what these advisers are paid to do. However, the company must also focus on the bigger picture, factoring in long-term profitability and growth prospects. Companies need to focus on what is beyond the “hurdle”, and not just on crossing it. Bowing to pressure from above. It is commonplace for pressure to be placed by the board of directors or influential shareholders on the management team and the advisers carrying out the due diligence. Once the powers that be have decided that the transaction should go ahead, it would take a brave adviser to say otherwise. Companies should remain open-minded to the advice of their advisers, which they have paid good money for. LB: Marcus van Geyzel is a corporate/commercial solicitor in Kuala Lumpur. He is a media junkie, and voraciously consumes media thanks to the magic of RSS and Twitter (@vangeyzel). His more recent published articles are archived at marcusvangeyzel. His interests are varied, but has a penchant for debates about culture, politics, football and the idiosyncrasies of human interaction. A certified bibliophile, he buys books faster than he can read them. Look out for Part 2 next week. Marcus van Geyzel tweets at @vangeyzel. He believes that the only certain thing in life is that everything can be explained by the transperambulation of pseudo-cosmic antimatter. Posted on 30 September 2010. You can follow any responses to this entry through the RSS 2.0. Read more articles posted by Marcus van Geyzel. You can truly find doctors loans information from websites which provide financial buying and selling options for doctors. These are really great tools to make use of to offer youa differentperspective relating toyour physicians mortgage shopping. This can greatly help youwith your journey of obtaining a physician loan for your next home. @Vaart, thanks for the comment. Put simply, due diligence affects the rakyat in two ways. First, the SC's regulations on the accuracy of information submitted to them, and distributed to the public, means that companies will (or rather, should) take great care in ensuring that all information is accurate. Second, it means that commercial decisions are made by companies with as few blind spots as possible. DD is not just for lawyers. Generally, there are four broad classes of DD – legal, commercial, financial, and tax. I will address legal & commercial DD in the next two weeks. MvG thank you. We learn something new everyday. But how does due diligence affect the rakyat? Why should we support SCs strict stance on due diligence? Can't non lawyers like accountants also do due diligence? Which is the best law firm to do due dligence? Your law firm? 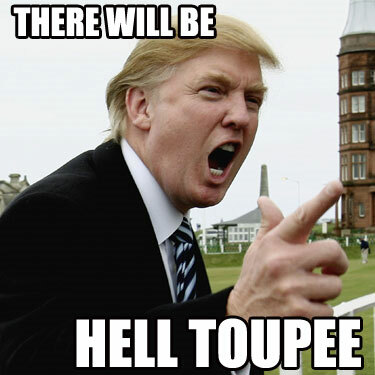 there will be "hell toupee"…. an episode from the 1st season of "amazing stories". getting ready to jump into the 2nd season of "the twilight zone". yes, the one from the 60s.